Mclean County used to be insulated from the nonsense going on in the rest of Illinois. The only reason was State Farm. Those days are long gone thanks to the exodus of State Farm and big spending Chris Koos and Tari Renner. Both are Mike Madigan wanna-be’s who think you aren’t entitled to keep what you earn. They confiscate your money while pretending they have no other choice. The pawns on both Councils gladly comply, they don’t represent you. They are recruited and tolerated only to vote yes. Chicago has been attempting to gain allies downstate for years. Congrats McLean County – the Chicago Democrats are now supporting candidates here. 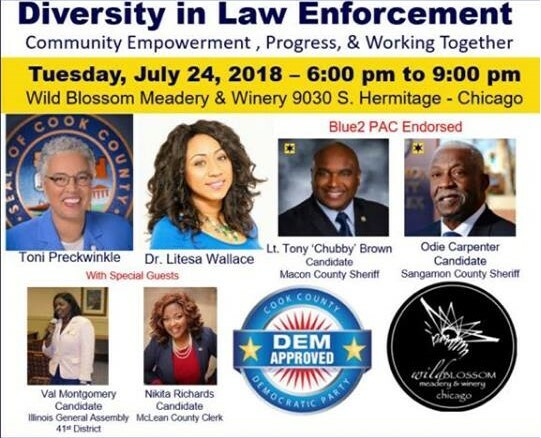 Why was a Democrat candidate for McLean County Clerk a special guest in CHICAGO at a forum discussing Diversity in Law Enforcement? Do they think the Clerk has a voice in hiring law enforcement personnel? Evidently Toni Taxwinkle is supporting Nikita. 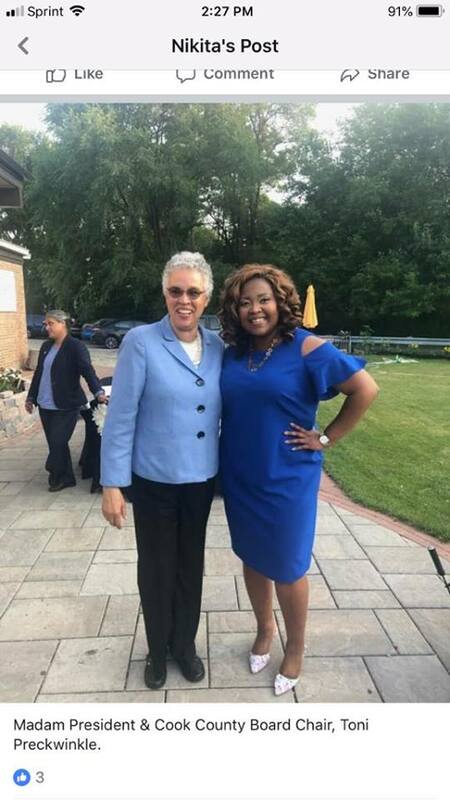 Preckwinkle was responsible for the now repealed soda tax which sent people to suburbs to shop instead of pay it. That’s just one example of her destructive policies. If you are dying to live and Chicago, but know you can’t afford to, here’s the two candidates to vote for. Of course, Bloomington-Normal is close to un-affordable now. You will just be making the demise come faster. Democrat love to tout PROGRESS. Ask them what they are “progressing” to? Petitions for local elections early next year will be available at the end of August. Tari has his candidates picked, we need people willing to represent taxpayers. Right now there is ZERO. 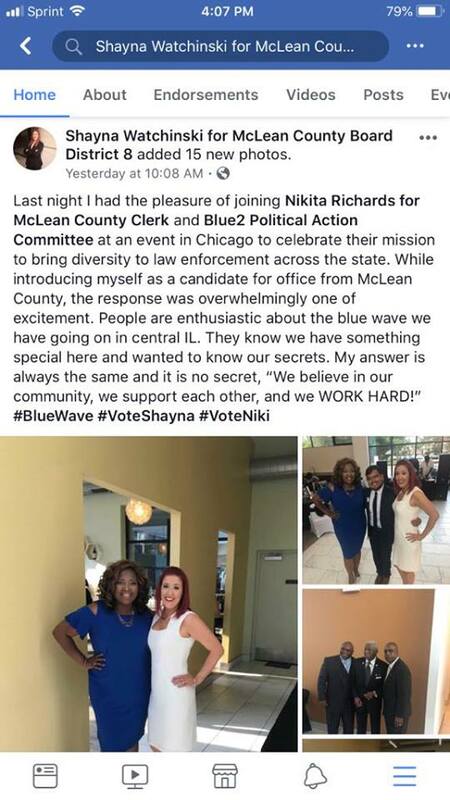 Posted in BloNo, Bloomington, BLOOMINGTON CITY COUNCIL, elections, Koos, Local, McLean County, Normal, Progressives, Renner, Taxes.Tagged Chicago politics, Diversity in Law Enforcement, Nikita Richards, Shayna Watchinski, Toni Preckwinkle. Let’s STOP this “infection” before it becomes untreatable! I challenge the readers to recruit candidates. Change is up to you. What sane, level-headed person is willing to take the attacks and abuse of Tari and his allies? There’s a reason rational people aren’t on the city council. I don’t blame Judy for moving on with her life. That said, I think people have had it with Tari, including his own supporters. If someone comes along with a clear anti-establishment message and doesn’t cave, they’d get a lot of support. Trouble is finding someone willing to put themselves out there. Judy served 8 years, a reasonable amount of time before moving on–attacks or not. There are several people who comment on this site who are reasonable, rational, informed and articulate, yourself included, who would make wonderful candidates as a counterpoint to Renner. For someone to take the risk of running for Council, they need the support first. They need to be reached out to and recruited. The notorious “Sisterhood” of the previous Mayoral election. Red wave, read wave! People are tired of the leftwing lunatics throwing tantrums like two year olds. This is why I cant wait to get the heck out of this county and state! 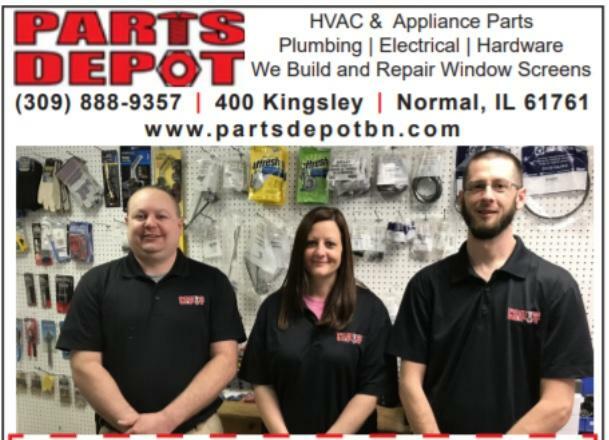 Next Post Did the Pantagraph comply?